Ever since my mom relocated to California (and I'm lucky enough to spend plenty of time there), I've changed my tune. Enjoying the ocean breeze, smaller appetizers and cooking turkey outside are my new Thanksgiving traditions. When I say "Thanksgiving", what immediately comes to mind? Red, orange and yellow leaves? Getting bundled up to pick apples or digging into some pumpkin pie? As a proud Canadian, I used to think the holidays meant colder weather and holding onto traditions like mountains of mashed potatoes and scattering pinecones across the dining room table for decoration. (Photo credit: Chris via Flickr). 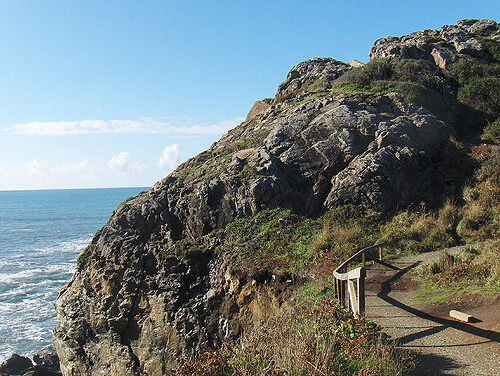 Why not update your Thanksgiving traditions this year and celebrate California-style? California dining is all about smaller courses or sharing plates and less about one heavy main meal, which is why it's a great idea to offer guests a variety of unique appetizers. (Photo credit: Meiomi. Used with permission). 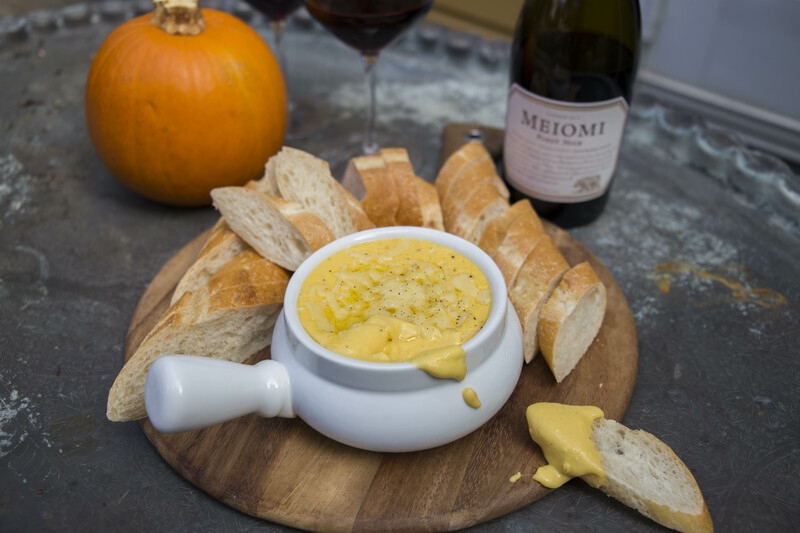 Pumpkin Fondue Dip: Everyone loves a good cheesy dip! Add roasted or canned pumpkin puree, and you have the perfect seasonal dish. Grilled Pizza: Don't forget about your grill this Fall with this favourite, that's easy to make, eat and share. 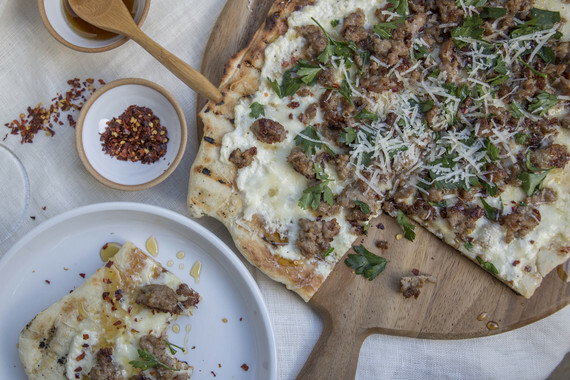 With so many topping options, why not spice it up for your guests with a sweet and savoury pizza like Grilled Sausage and Honey pizza (recipe below). Anything with Avocado: Californians love avocado. Try turkey and avocado toasts, they're easy and incorporate a traditional Thanksgiving favourite. Go Cali-style by offering guests different ways to enjoy turkey. Try turkey meat balls, or try grilling your turkey on the barbeque for a unique smoky flavour. 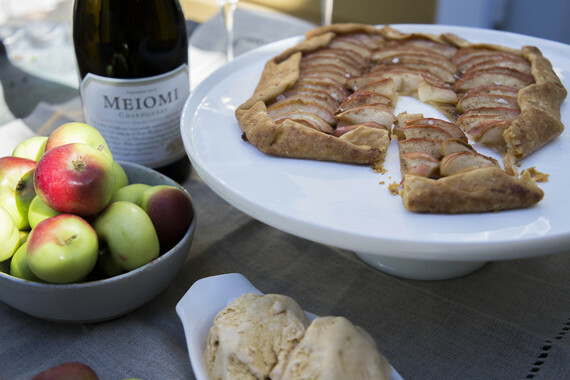 Offer something Sweet, Savoury and Simple: Provide guests with three dessert options to accommodate different palates. For savoury, offer a selection of your favourite cheeses; and for sweet, serve some California berries in a vintage glass bowl with fresh cream. It's that simple. 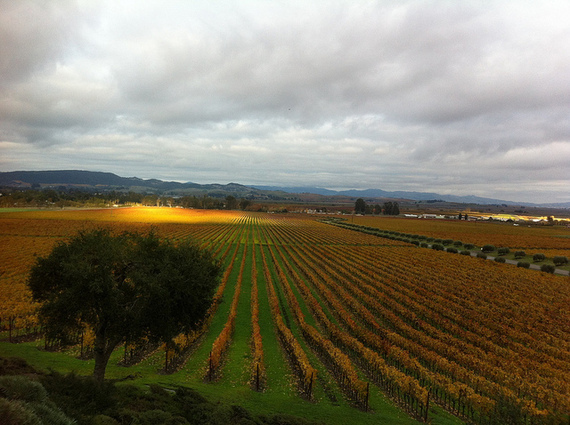 Choose wines that embody the California coast such as Meiomi wines which unify Sonoma, Santa Barbara, and Monterey coastal regions. (Photo credit: Jeff Gerhard via Flickr). 1. Bold Patterns: From Navajo to Mid Century modern, west coast style is all about adding and mixing patterns. When setting a table, select a mix of prints to use, something bold and graphic with smaller more organic prints. 2. Keep it Relaxed: California coastal style embraces a casual vibe. Reclaimed elements are paired with mix and match vintage pieces. Silver isn't polished to perfection and is paired with location specific succulents and wild flowers. 3. Include a Wink: Californians are known for their relaxed views on life but are also known for their timeless, west-coast style. When setting a table always include a "chic wink" for each guest. This may be a custom place card holder they can take home or even a small, inspired take home gift on or beside each guest's plate. 1. Heat grill to medium-high heat. On a floured surface, roll pizza dough flat. Place dough on a flour-dusted pizza peel, oil grill grates, and transfer dough to the grill. Cook for 3 minutes on each side, then remove from grill back to pizza peel. 2. Spread ricotta evenly all over the pizza dough, leaving a ¼" border. Sprinkle the mozzarella, sausage and chili flakes evenly. Return to the grill for 3-4 minutes or until all cheese is melted. 3. Drizzle honey a in zigzag formation across the pizza. Sprinkle with parsley and parmesan and serve. 1. Add all dry ingredients to the bowl of a stand mixer and mix on low to combine. 2. While the mixer is running, add the olive oil then water and beat until the dough forms a ball. If it is still sticky, add 1 tablespoon of all-purpose flour at a time until the dough forms a ball and is no longer sticky. Turn the dough out onto a floured surface and knead into a firm ball. 3. Spray a medium bowl with non-stick spray, add the dough and cover with plastic wrap. Leave at room temperature for 1 hour. 4. Turn the dough out onto a floured surface and divide into 4 equal balls. Cover each piece with plastic wrap and leave to rest for 10 minutes. 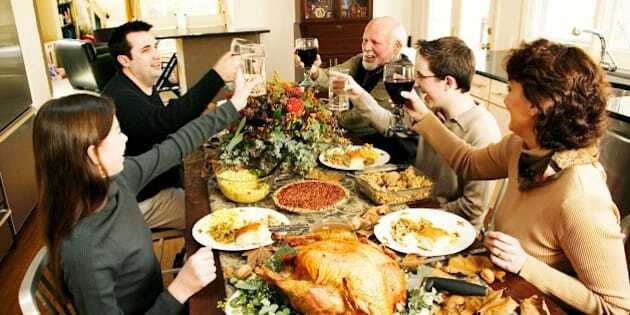 What's your favourite Thanksgiving tradition you'll keep and a modern update you'll add? Share your ideas in the comments below! Disclosure: this article was written in collaboration with Meiomi Wines. All opinions are 100% Christy's own.